NEW HAMPSHIRE: Gay Democrat Wins US House Seat - Joe.My.God. Democrat Chris Pappas will become New Hampshire’s first openly gay member of Congress after defeating Republican Eddie Edwards in the 1st Congressional District. 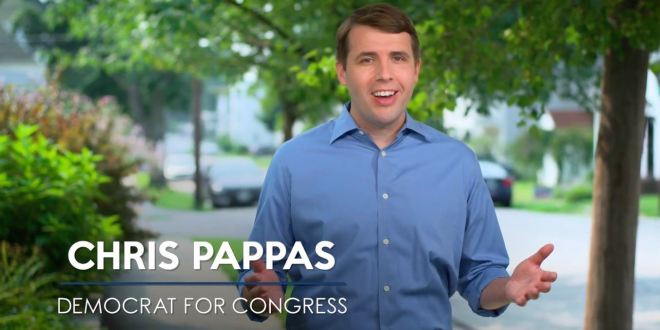 While both candidates said they want to bring integrity and decency to Washington, Pappas argued only he had the experience to back that up. In addition to running a family restaurant, he is a former state lawmaker who serves on the Executive Council, approving state contracts and nominations. Control of the seat being vacated by Democrat Carol Shea-Porter had changed parties in each of the last four elections.